The Global Forum rated Austria overall Largely Compliant with the international standard of transparency and exchange of information on requests handled over the period from 1 October 2014 to 30 September 2017. The report concludes that Austria has worked to address the deficiencies identified in its previous report published in 2015 with regard to some of its treaties not allowing banking information to be exchanged. While the progress achieved since the last report is well recognized, Austria should continue to work with its partners to bring all remaining treaties to the standard. Austria has also recently taken measures to fully implement the standard strengthened in 2016 on the availability of beneficial ownership information by implementing a beneficial ownership register. Practical implementation of the register requires further monitoring to ensure it meets the standard. 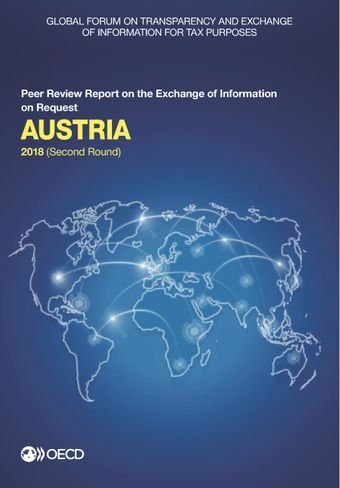 On the cooperation side, overall, Austria’s competent Authority responded efficiently to the large majority of the over 1 500 requests received during the review period. Read the news release.